Those words, bellowed from the hallway, was one of the sentences that defined my childhood. I’d be lying there on the fake sheepskin rug in our living room whilst my two little brothers caused all sorts of chaos around the house. The old gas fire would be blasting away behind me, and I’d be nose deep in my latest book. This was a regular occurrence and, as such, I’d begun to develop some marks on my back, which were caused by said fire. It was known as ‘fireside tartan’, and as far as I’m aware wasn’t anything all that serious. It didn’t bother me at all, and so any chance I got I found my spot on the floor and dove head first into my reading. Then, more often than not, I’d hear the shout about being too close to the fire and I’d reluctantly shuffle onto the couch to appease whichever parent had caught me this time. It never lasted long though. I’d soon slither back into my spot. The heat of the fire would tattoo my back whilst I was getting lost in the words of whichever story I was following at the time. In a certain sense not much has changed. When I’m reading I’m lost in the words. The world around me is blinkered off and all I’m taking in are the images being conjured up by the sentences in front of me. It could be fiction, non-fiction or a new leaflet that has come through the door that morning, but when I’m wrapped up in text and prose I’m very much in my own world. Which leads me to why I wanted to start the ‘Edinburgh Whisky Blog Book Club’. Reading is such a solitary thing – but whisky is very much the opposite. It can form bonds, create friendships, fire debates and mend bridges. I wanted to take that concept and apply it to the books that we read about whisky and drinks in general. There have been so many times I’ve read books on whisky and seen points and opinions that I wanted to discuss, only to forget them by the time I encountered another interested individual. 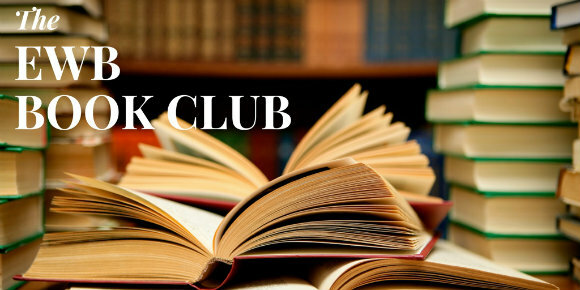 So, to amend that, I’ll be starting a monthly book club right here on EWB. We’ll announce a book on the first week of the month and that, hopefully, should give everyone who wants to get involved a bit of time to either read through it or at least give it a good go. Then on the first week of the next month I’ll write a little bit about it and we can all have a good knatter in the comments section. It will be informal, and hopefully just something that people can enjoy. So what’s first? 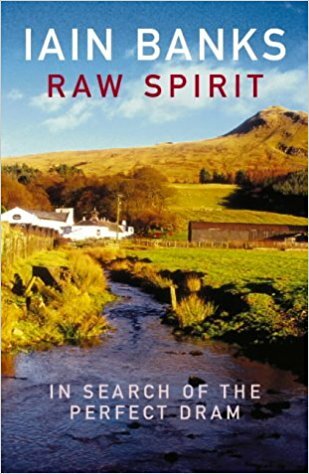 Well, as I’m starting this, and because it has been sitting on my shelf unread for ages, I’m going to go with Iain Banks’ ‘Raw Spirit’. I’m sure many of you have already read through this on more than one occasion but that was one of the main reasons for picking it. I wanted something available, accessible, and well worth reading (I hope!). Whether you’ve read it before or you will be reading it for the first time I hope you take the time to get involved when we come back to discuss ‘Raw Spirit’ during the first week of November. I’d better head off and get reading. I just hope nobody tries to move me from my spot in front of the fire. This entry was posted	on Wednesday, October 4th, 2017 at 9:28 am	and is filed under Musings. You can follow any responses to this entry through the RSS 2.0 feed. Responses are currently closed, but you can trackback from your own site.